Summary A STORK'S JOURNEY is an animated adventure in which a sparrow who believes he is a stork sets out to migrate south for the winter. 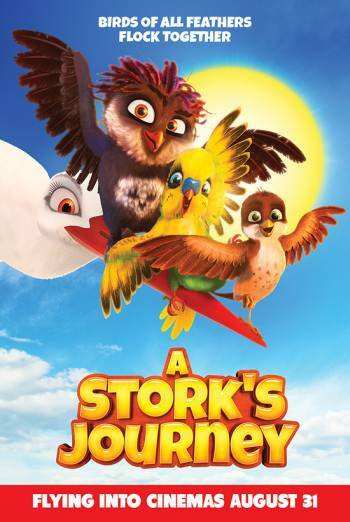 A STORK'S JOURNEY is an animated adventure in which a sparrow who believes he is a stork sets out to migrate for the winter. Scenes include birds fleeing from other animals, including bats, spiders, a scorpion, and a honey badger. These moments are presented as exciting and typically feature comic elements. There is a very brief scene in which it is implied that two animals are killed. There is infrequent mild bad language ('jerk'). Bird characters receive mild comic electric shocks when they come into contact with antenna and telegraph wires.